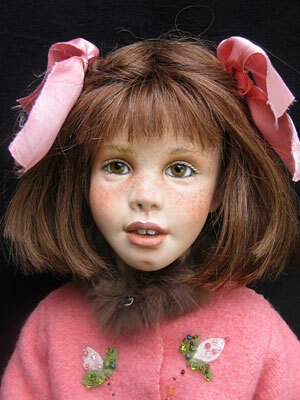 Piper & Peach fuzz! 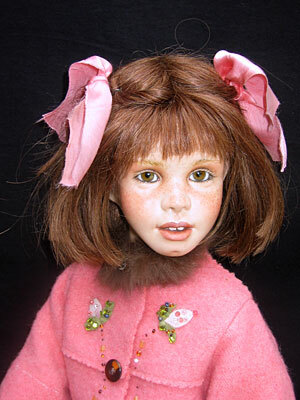 This freckle faced girl wears a peach, vintage wool coat that has been decorated with glass beads and felt flowers and trimmed with brown fur. 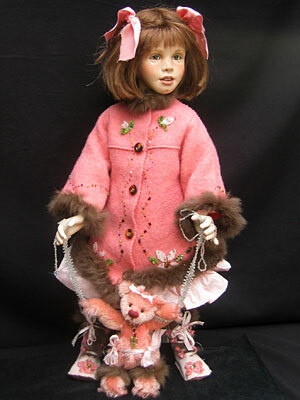 Her pale pink booties match her coat and Peach fuzz (her bear) who is also beaded. How cute!